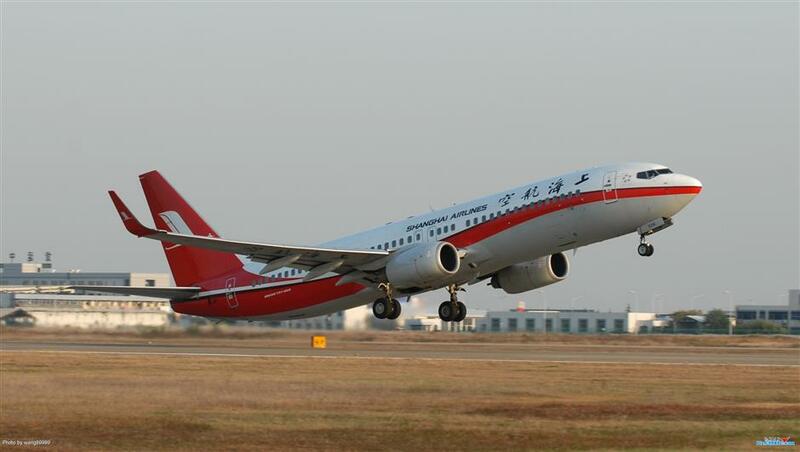 Shanghai Airlines began broadcasting greetings in the local dialect on 10 flights returning to the city amid growing concerns that fewer young people are speaking Shanghainese. Mao Shanyu (left), director of Shanghai Huju Theater and a renowned Huju Opera performer is invited to record the greetings broadcast with an attendant of the airline. Shanghai Airlines has expanded a practice to broadcast greetings in the Shanghai dialect to 10 flights after a survey found most passengers like hearing it. Safety introductions remain in English and Mandarin. “We hope to create an atmosphere in the cabin to let passengers from Shanghai and other provinces as well as abroad feel they are coming to the city,” Jin said. Local dialect is featured by soft, slow and pleasant tones, she added. The airline invited Mao Shanyu, director of Shanghai Huju Theater and a well-known Huju Opera performer to record one of the broadcasts. The carrier launched a trial operation in July to broadcast greetings in the local dialect on flights returning from Kunming and Taipei. Over 500 passengers were interviewed during the trial operation and 96 percent said they liked what they heard, the airline said. “Local travelers, especially those who have taken a long voyage abroad, will feel warm when returning to their hometown upon hearing the Shanghai dialect,” said Peng Lingzhen, one of the passengers surveyed. The airline launched the practice amid increasing concerns that the number of local young speakers of the Shanghai dialect is dropping rapidly. The airline initially began broadcasting about the city in Shanghai dialect on all of its flights landing in the city in early 2012. The flight attendants spoke to passengers directly and even taught some basic Shanghai greetings. However, the practice had to be suspended later because fewer flight attendants can speak authentic Shanghai dialect, Jin said. According to a survey from the Shanghai Statistics Bureau, more Shanghai residents can speak Mandarin than the local dialect. More than 97 percent of locals could speak Mandarin, compared to about 80 percent who could also speak the local dialect. At the annual session of Shanghai People’s Congress this year, lawmakers urged authorities to promote the local dialect by setting up television and radio channels, opening online courses, and producing textbooks about the dialect. “Local dialect is the blood of the city Shanghai, but most local children cannot speak the dialect nowadays,” said Wang Rugang, director of the Shanghai People’s Farce Troupe and a legislator.